I thought I would post a couple of cards I made yesterday. My daughter, Kelly, and I make cards to sell at our church, Messiah Church, and all the proceeds are donated. 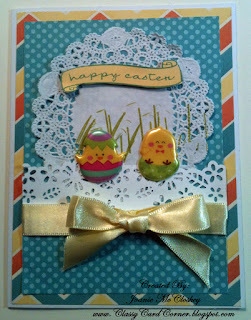 So with Easter right around the corner I thought I'd do a couple to add to our card rack. 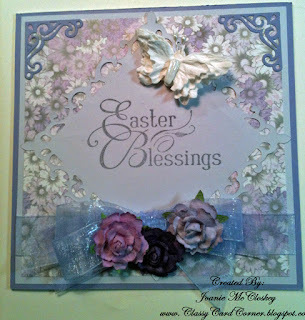 I used a new Spellbinders die cut, Fleur De Lis Squares, they are awesome and I used patterned paper from Gina K., Parisian Garden, a very nice paper pack in 6x6 size. The ribbon and flowers are all from my stash except for the butterfly that I purchased at Michael's just yesterday, they are by Heidi Swapp, I thought they was just so beautiful. 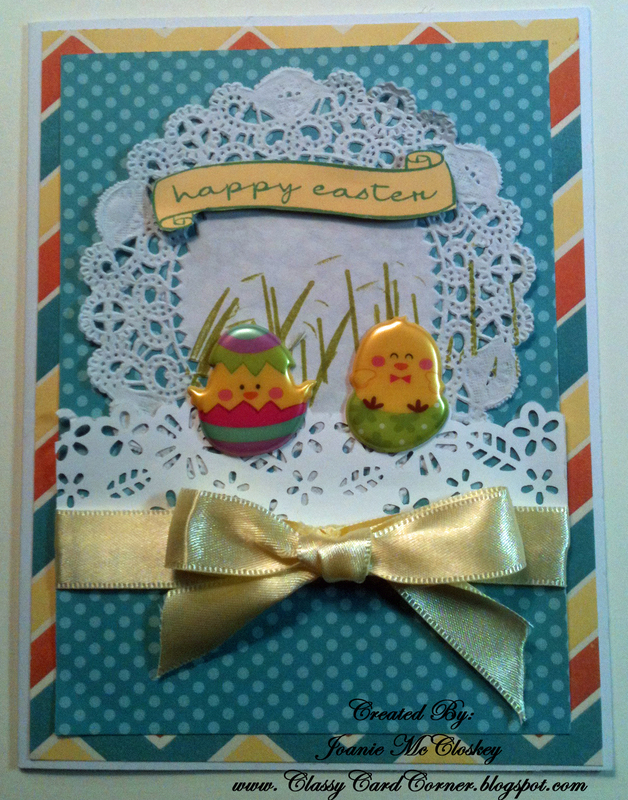 This one was made for the little folks and I thought it was really cute with the little chicks. Well, I time to get going on some other creations, so thanks so much for stopping by and hope you come back soon. 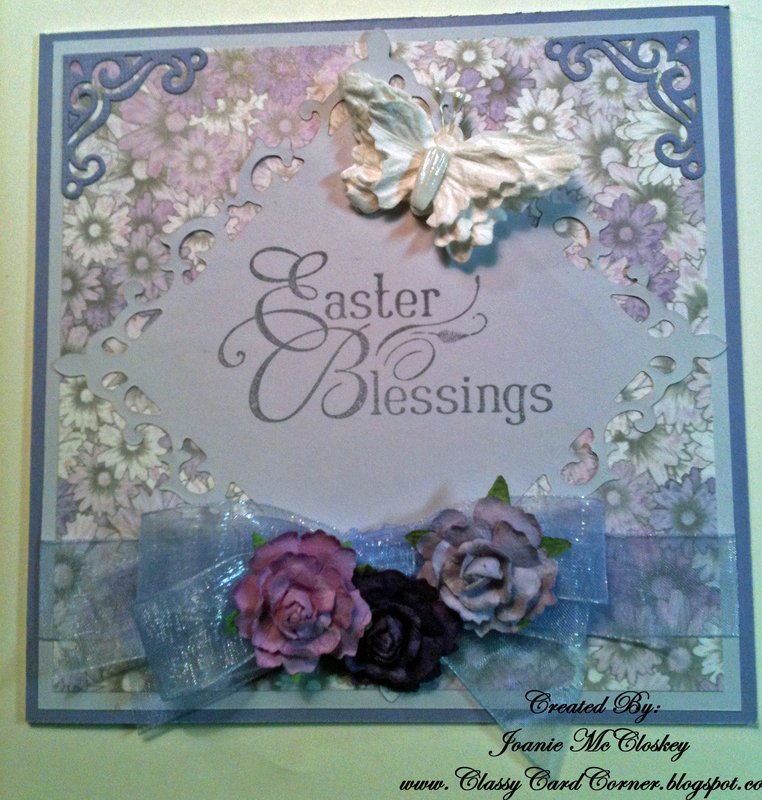 Easter blessings to you too my friend! !